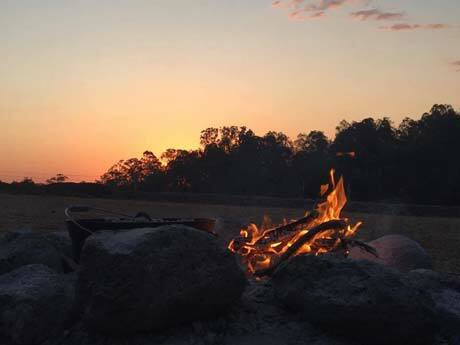 Bestbrook Mountain Resort has a range of accommodation to suit all budgets and preferences; including Self-contained Cabins, Bunkhouse (backpacker style rooms) and Bush Camping. 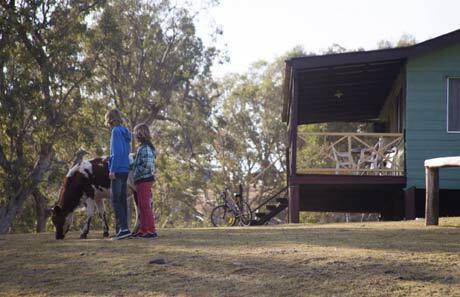 Cabins are fully self-contained, private, comfortable, clean accommodation that is rated at 3 Star. For your convenience, we supply all linen and there is a refrigerator, stove, microwave, electric fry pan, kettle, toaster, crockery and cutlery. All cottages have some air conditioning, a pot belly stove, BBQs with gas and an area for your own private campfire. Three bedroom cabins are great for the larger family. Two bedroom cabins are perfect for a family of four to five people. Bush camping at its best. You can choose from 4 different camping areas with both powered and unpowered options. As our sites are not individually marked you do have some freedom when selecting your spot. For those going unpowered the only rule is that you don’t block access to the powered sites and if going for a powered site we recommend bring a 20-30metre lead – this way you are only restricted by the length of your lead. For those campers that don’t have their own showers and toilets access to our bunkhouse bathrooms is available and there is always plenty of hot water. 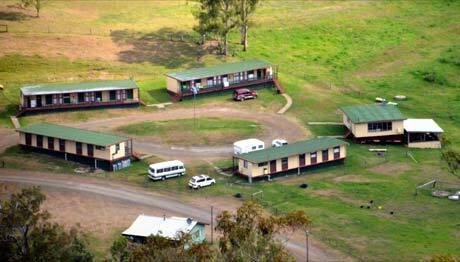 The “village bunkhouse” or backpacker accommodation is basic accommodation with shared facilities. You can have your own room that will sleep up to 3 people with shared shower and toilet facilities, there is a common room that has a fridge, barbeque, microwave and toaster. Please note there are no cooking facilities or utensils. If staying in the bunkhouse please be aware that the bunkhouse bathrooms are also utilized by our campers, so at times it can be very busy.